The Panda swims upstream in the midst of Fiat debacle: +16% in November. After -25.5% in September and -8% in October, the Italian market continues to slowly recover from post-WLTP hangover with November deliveries down another 6.8% to 148.024 units, pulling the year-to-date tally down 3.6% to 1.798.078. Following a Europe-wide pattern after the WLTP disruption, private sales (+4.4%) fare well at 95.779 and 64.7% share vs. 57.7% a year ago in November 2017, because July and August sales were artificially boosted by fleet and rental pre-WLTP push and are now paying the price: company sales are down 25.3% to 27.138 and 18.3% share vs. 22.9% a year ago and rental sales dive 18.5% to 25.107 and 17% share vs. 19.4% a year ago – short term rentals (-32.9%) being hit harder than long-term/leases (-18.2%). The year-to-date picture is very different with rental sales up 0.2% to 414.517 and 23.1% share vs. 22.2% over the same period in 2017, short-term down 8.3% but long-term up 2%, private sales slip 3.2% to 1.014.963 and 56.4% share vs. 56.2% and company sales skid 8.3% to 368.598 and 20.5% share vs. 21.6% a year ago. Diesel sales (-25.6%) “finally” catch up with the rest of Europe in their freefall but Italy is one of the last remaining market where they are still superior to petrol sales (+26.7%) at 66.771 and 45.1% share vs. 60.265 and 40.7%, the YTD situation being even more in favour of diesel at 931.980 and 51.8% (-11.9%) vs. 626.525 and 34.8% (+5.8%) for petrol. GPL sales are down 6.2% to 10.558, hybrid up 17% to 8.028 and EV up 200% to 462. Absolutely all segments register a year-on-year drop except crossovers (+14%) at 46.615 and 31.5% share vs. 25.7% in November 2017. Small MPVs (-59.9%) and compact MPVs (-58.6%) are the hardest hit. 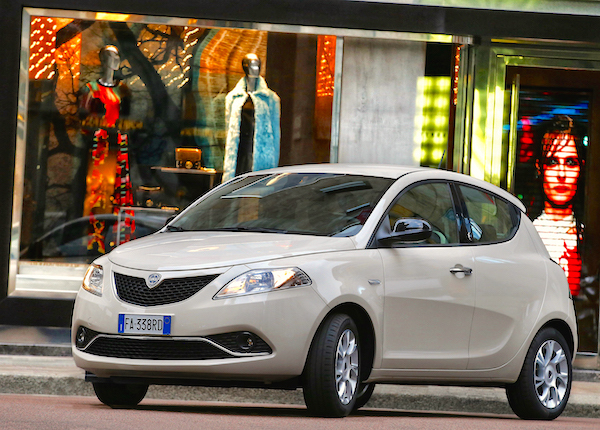 The Lancia Ypsilon records its first year-on-year gain since August 2017. Fiat (-15.4%) celebrates a sad anniversary at home: one full year or 12 consecutive months of double-digit declines leading to its second lowest-ever market share at 15.01% after hitting an all-time low of 14.98% last September. November also marks the 4th straight month at 15.5% or less for Fiat in Italy, something that never happened before in the history of the marque. If Renault (-32.9%) and Ford (-13%) are also in difficulty this month, there are some very impressive upticks in the Top 10: Volkswagen (+12.2%) has now well and truly recovered from its WLTP woes and cements a 2nd place it also holds year-to-date, while Dacia (+42.6%) is up a splendid 8 spots on October to #9, breaking into the Italian Top 10 for the third time in the past 10 months after last February (#9) and August (#7) and Jeep (+34.4%) hits 4.8% share, its third highest in history below last August (6.2%) and May (5%). In the Top 25, Lancia (+13.9%) rallies back up but is now only relying on the Ypsilon for survival at home, Suzuki (+17.3%) and Volvo (+21.2%) being the only two other carmakers posting double-digit gains with Seat (+7%) and Skoda (+6.8%) also dong well. Below, Mahindra (+568.4%), DR Motor (+454.5%), Lamborghini (+133.3%), Mitsubishi (+114.3%), Jaguar (+88.2%) and DS (+37.7%) lodge spectacular gains but all remain at or below 0.6% share. 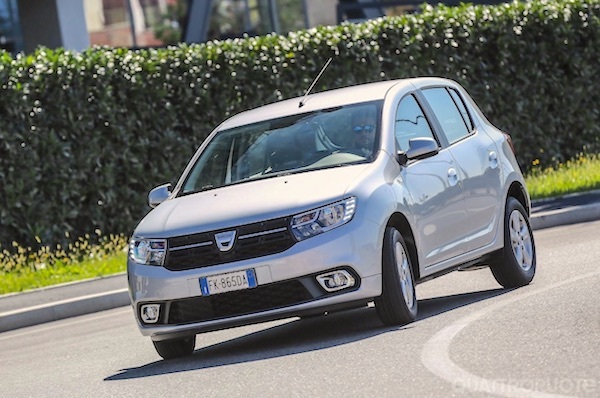 All-time record ranking for the Dacia Sandero. 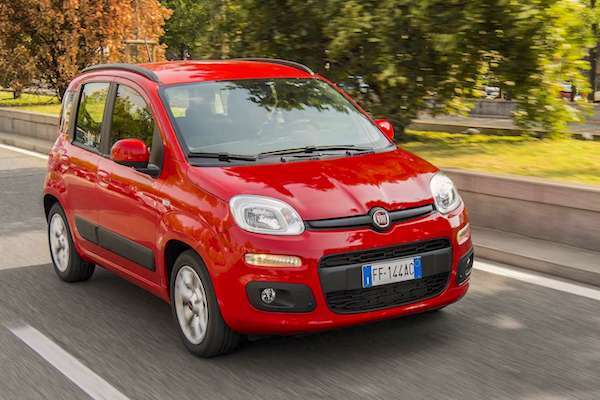 Over in the models ranking, the Fiat Panda (+16%) can celebrate its first year-on-year sales gain in exactly a year (since October 2017) while in 2nd place the Lancia Ypsilon (+14%) can sport its first gain since August 2017. The Renault Clio (+4%) is back on the podium for the first time since its historical win last August, ahead of the Toyota Yaris (-1%) and Jeep Renegade (+8%). The Dacia Sandero soars 73% year-on-year and 14 spots on October to land in 6th place, equalling its all-time ranking record also hit last August. The Jeep Compass (+85%) also shine and resumes its stint among Italy’s 10 favourite nameplates, even outselling the VW Golf (-24%) and Citroen C3 (-18%). The Ford Focus (+261%), Kia Picanto (+77%), Audi A3 (+75%), Opel Karl (+61%), Toyota C-HR (+51%), Toyota Aygo (+46%), Audi Q2 (+42%), VW Polo (+39%), Dacia Duster (+36%), Ford Ecosport (+33%), VW Up! (+29%), Opel Crossland X (+22%), Peugeot 3008 (+20%) and VW Tiguan (+17%) also shine in the Top 50. Heavy losses include the Fiat Punto (-81%), Alfa Romeo Giulietta (-55%), Fiat 500L (-49%), Alfa Romeo Stelvo (-47%), Fiat Tipo (-41%), VW Passat (-38%), Renault Kadjar (-37%), Hyundai i10 (-34%), Renault Captur (-33%) and Ford Fiesta (-30%). Full November 2018 Top 45 brands and Top 50 models below.